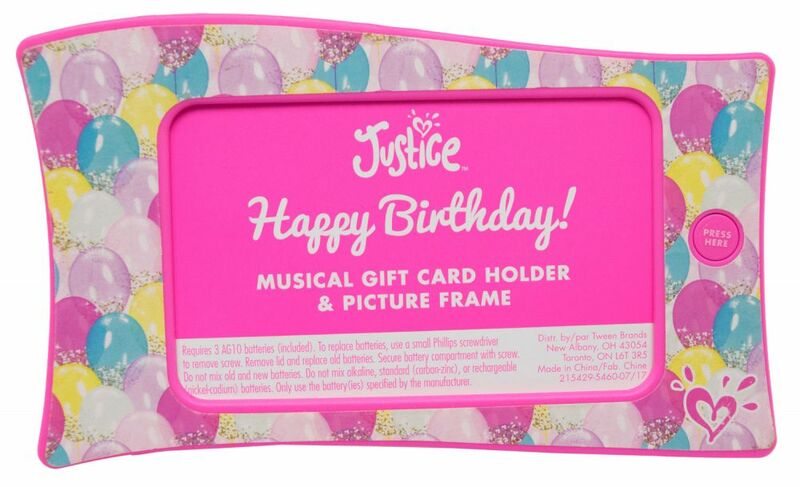 The retailer Justice wanted a consumer product that would elevate the gift card giving experience and also express the tone and spirit of the store. 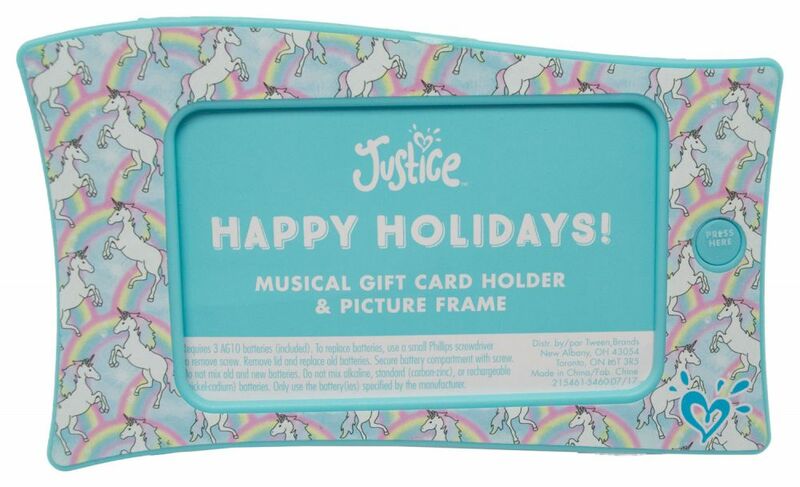 Justice stores are all about brightly colored clothing, accessories, and gifts that are covered with happy images that Tweens love, like unicorns, cupcakes, and rainbows. 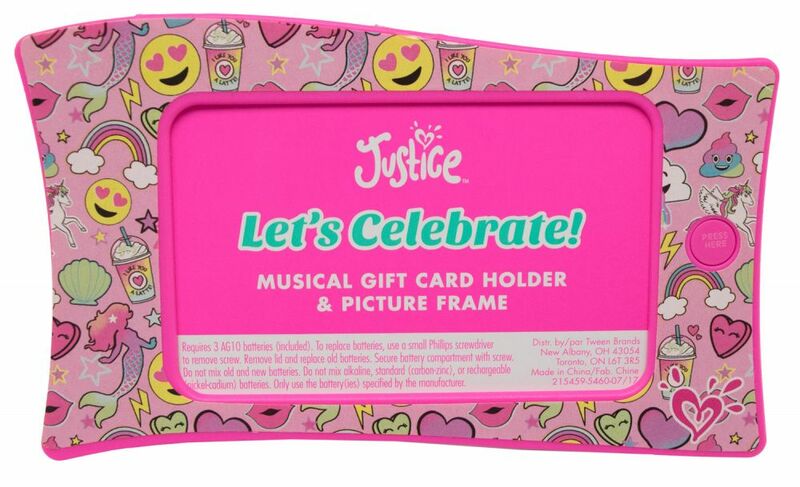 So a gift card from Justice needs a delivery system that is upbeat and fun for the Tween demographic. 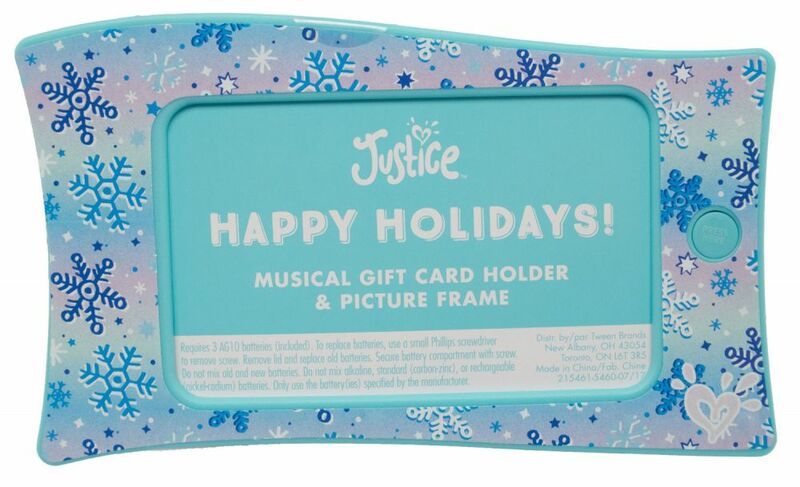 Americhip created an engaging musical gift-card holder that becomes an audio picture frame after the gifting exchange. 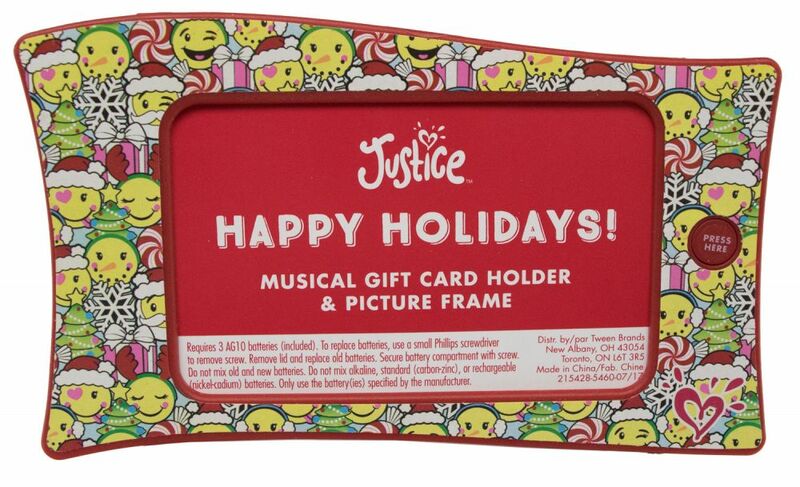 Designed with bright, happy images, like smiley faces and candy, this musical gift-card holder line included six holiday, birthday and everyday songs that can be used for all of the big gift-giving events like Christmas, birthdays, graduations and anniversaries. 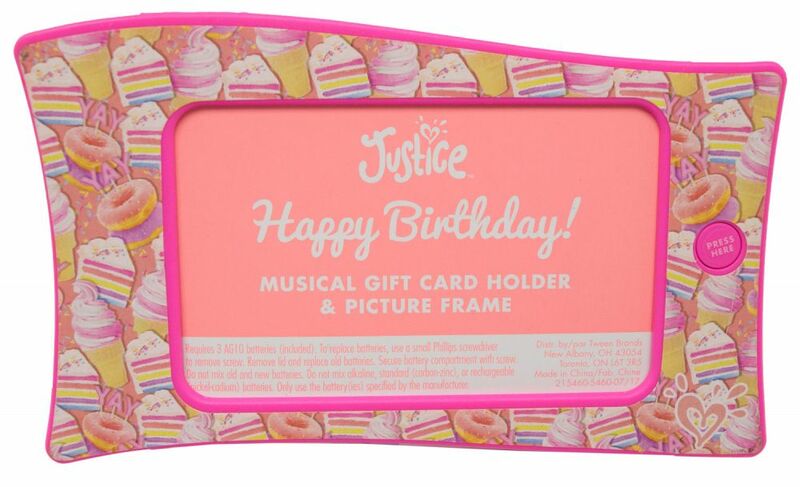 There is a pop-out stand in the back so that after the gift card is removed, the display can function as a charming picture frame with accompanying audio. A perfect keepsake that serves as a reminder of Justice, a brand that’s all about positivity and smiles.